Friday night, 9pm. We’re still in the office, cutting code on a bespoke client platform when dejavu strikes. We already built the same basic tech for someone else. Yet there we are. Sinking man hours and client budget into a project that’s already been born. It’s ludicrous. But this is digital waste – when unique IP is built, underused and mothballed in the name of ownership. Instead of being a starting point for innovation, clients see their product as its end-game, retiring their tech and any further potential it had. It’s backwards and archaic, it’s an affront to progress and unfit for the sharing economy. A PwC report found that 65% of UK millennials value sharing over ownership. No surprises there. In fact, access over ownership is the mantra of the sharing economy: a sector based on peer-to-peer lending, borrowing, exchange and collaboration. If you can help me or I you, let’s do it and keep costs down. This kind of thinking gave us AirBnB, Uber, taskrabbit, and countless exchanges for talents, goods and knowledge. For many of us, sharing is the new black. It’s a way of life, not just a fad. The agency-brand relationship still has some way to go but it’s starting to catch on. Instead of charging for time and materials, brands want tangibles and value from their agency partners. There’s probably nothing less tangible or valuable than blowing big cash on unique IP that’ll be used once and tossed. There’s so much emphasis on owning the IP that many don’t see the colossal waste of time and money, or the lost opportunities. About five years ago, we built a new CMS for a London Fashion Week project. The platform enabled the client to record high quality catwalk footage whilst auto-tagging fashion items. We really thought we were onto something here. With Machine Learning and Computer Vision we could have developed a must-have new medium for brands, publishers and affiliates. So what did the client do with this breakthrough? Used it once, retained the IP, and warehoused it. It was never seen or heard from again. The development was similar to this year’s Instagram’s tagging update, so suffice to say we were light years ahead and sitting on massive potential – for publishers and customers both. But there we have it, the agency missed an open goal. We started Quander when we had enough of the short-sightedness. We came at things from a different angle and hoped buyers would soon see that upcycling codes, ideas and materials is far cheaper and more valuable than going bespoke. They’d see that developing existing tech means less spend on the framework and more on the bells and whistles. They’d see that by investing in an ongoing service, their technology could constantly update and remain on the cutting edge. Quander began its service model business to challenge the dusty status quo. We constantly grow and develop our inventory with new ideas, projects and solutions, and we gift all that progress to the buyer. For our clients, letting go of IP isn’t a sacrifice but a gamechanger. Instead of seven month bespoke builds, off-the-shelf (plus modifications) takes nearer seven days. Buyers can select from a shopping list of road-tested tech, that’s debugged, match-fit and ready to go. We’ve not been going all that long, but it turns out clients care less about IP when they’re shown the flip-side. We’ve witnessed a small change in thinking that, as more millennials move into influential roles within brands and organisations, will start to permeate the mainstream. And not a moment too soon. Because we’re the generation that likes to share and recycle; to reuse and refine. We don’t mind leasing where owning’s impossible. We don’t mind collaborating for the greater good. We don’t mind sharing if benefits outweigh costs. 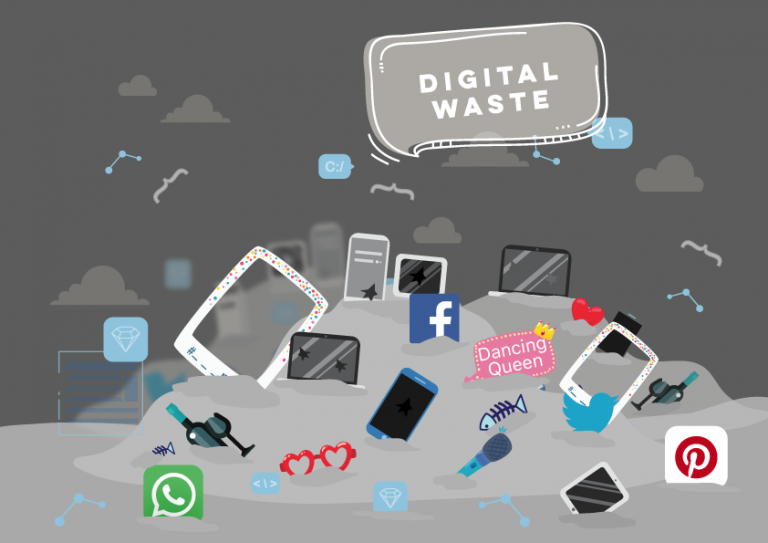 Our mission is to democratise technology and doing that means stemming digital waste, a stain that’s got no business in our business or yours.